144:0.2 There were a number of reasons why Jesus and his apostles were in retirement at this time on the borders of Samaria and the Decapolis. The Jerusalem religious rulers were very antagonistic; Herod Antipas still held John in prison, fearing either to release or execute him, while he continued to entertain suspicions that John and Jesus were in some way associated. These conditions made it unwise to plan for aggressive work in either Judea or Galilee. There was a third reason: the slowly augmenting tension between the leaders of John’s disciples and the apostles of Jesus, which grew worse with the increasing number of believers. 144:1.6 While tarrying on Gilboa Jesus told the twelve much about his early life and his experiences on Mount Hermon; he also revealed something of what happened in the hills during the forty days immediately after his baptism. And he directly charged them that they should tell no man about these experiences until after he had returned to the Father. 144:1.7 During these September weeks they rested, visited, recounted their experiences since Jesus first called them to service, and engaged in an earnest effort to co-ordinate what the Master had so far taught them. In a measure they all sensed that this would be their last opportunity for prolonged rest. They realized that their next public effort in either Judea or Galilee would mark the beginning of the final proclamation of the coming kingdom, but they had little or no settled idea as to what the kingdom would be when it came. 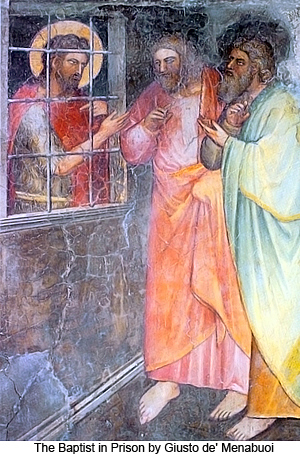 John and Andrew thought the kingdom had already come; Peter and James believed that it was yet to come; Nathaniel and Thomas frankly confessed they were puzzled; Matthew, Philip, and Simon Zelotes were uncertain and confused; the twins were blissfully ignorant of the controversy; and Judas Iscariot was silent, noncommittal. 144:1.8 Much of this time Jesus was alone on the mountain near the camp. Occasionally he took with him Peter, James, or John, but more often he went off to pray or commune alone. Subsequent to the baptism of Jesus and the forty days in the Perean hills, it is hardly proper to speak of these seasons of communion with his Father as prayer, nor is it consistent to speak of Jesus as worshiping, but it is altogether correct to allude to these seasons as personal communion with his Father. 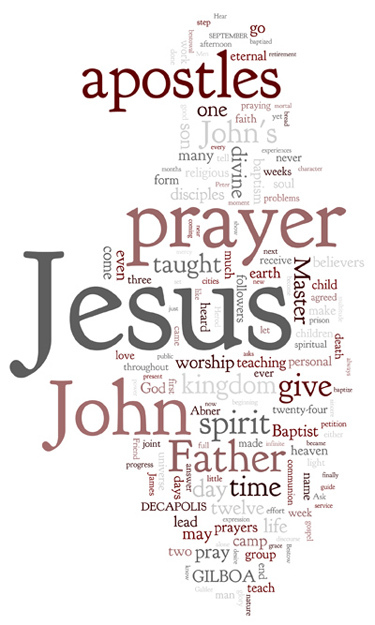 144:1.10 John had taught his disciples a prayer, a prayer for salvation in the coming kingdom. 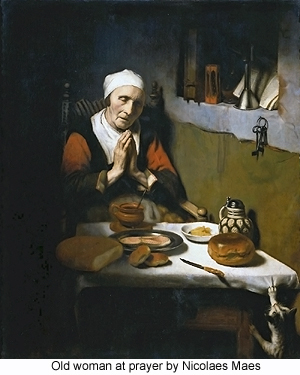 Although Jesus never forbade his followers to use John’s form of prayer, the apostles very early perceived that their Master did not fully approve of the practice of uttering set and formal prayers. Nevertheless, believers constantly requested to be taught how to pray. The twelve longed to know what form of petition Jesus would approve. And it was chiefly because of this need for some simple petition for the common people that Jesus at this time consented, in answer to Thomas’s request, to teach them a suggestive form of prayer. Jesus gave this lesson one afternoon in the third week of their sojourn on Mount Gilboa. 144:2.1 “John indeed taught you a simple form of prayer. `O Father, cleanse us from sin, show us your glory, reveal your love, and let your spirit sanctify our hearts forevermore, Amen!’ He taught this prayer that you might have something to teach the multitude. He did not intend that you should use such a set and formal petition as the expression of your own souls in prayer. 144:2.2 “Prayer is entirely a personal and spontaneous expression of the attitude of the soul toward the spirit; prayer should be the communion of sonship and the expression of fellowship. Prayer, when indited by the spirit, leads to co-operative spiritual progress. The ideal prayer is a form of spiritual communion which leads to intelligent worship. True praying is the sincere attitude of reaching heavenward for the attainment of your ideals. 144:2.3 “Prayer is the breath of the soul and should lead you to be persistent in your attempt to ascertain the Father’s will. If any one of you has a neighbor, and you go to him at midnight and say: `Friend, lend me three loaves, for a friend of mine on a journey has come to see me, and I have nothing to set before him'; and if your neighbor answers, `Trouble me not, for the door is now shut and the children and I are in bed; therefore I cannot rise and give you bread,’ you will persist, explaining that your friend hungers, and that you have no food to offer him. I say to you, though your neighbor will not rise and give you bread because he is your friend, yet because of your importunity he will get up and give you as many loaves as you need. If, then, persistence will win favors even from mortal man, how much more will your persistence in the spirit win the bread of life for you from the willing hands of the Father in heaven. Again I say to you: Ask and it shall be given you; seek and you shall find; knock and it shall be opened to you. For every one who asks receives; he who seeks finds; and to him who knocks the door of salvation will be opened. 144:2.4 “Which of you who is a father, if his son asks unwisely, would hesitate to give in accordance with parental wisdom rather than in the terms of the son’s faulty petition? If the child needs a loaf, will you give him a stone just because he unwisely asks for it? If your son needs a fish, will you give him a watersnake just because it may chance to come up in the net with the fish and the child foolishly asks for the serpent? If you, then, being mortal and finite, know how to answer prayer and give good and appropriate gifts to your children, how much more shall your heavenly Father give the spirit and many additional blessings to those who ask him? Men ought always to pray and not become discouraged. 144:2.5 “Let me tell you the story of a certain judge who lived in a wicked city. This judge feared not God nor had respect for man. Now there was a needy widow in that city who came repeatedly to this unjust judge, saying, `Protect me from my adversary.’ For some time he would not give ear to her, but presently he said to himself: `Though I fear not God nor have regard for man, yet because this widow ceases not to trouble me, I will vindicate her lest she wear me out by her continual coming.’ These stories I tell you to encourage you to persist in praying and not to intimate that your petitions will change the just and righteous Father above. Your persistence, however, is not to win favor with God but to change your earth attitude and to enlarge your soul’s capacity for spirit receptivity. 144:3.13 It is not strange that the apostles desired Jesus to teach them a model prayer for believers. 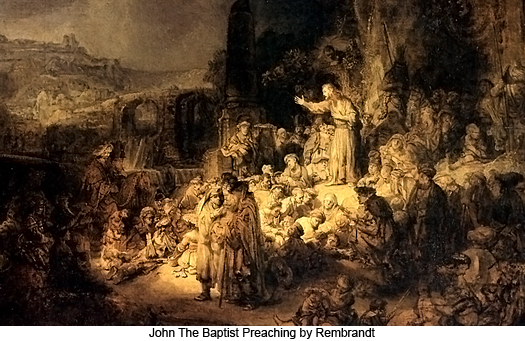 John the Baptist had taught his followers several prayers; all great teachers had formulated prayers for their pupils. The religious teachers of the Jews had some twenty-five or thirty set prayers which they recited in the synagogues and even on the street corners. Jesus was particularly averse to praying in public. Up to this time the twelve had heard him pray only a few times. They observed him spending entire nights at prayer or worship, and they were very curious to know the manner or form of his petitions. They were really hard pressed to know what to answer the multitudes when they asked to be taught how to pray as John had taught his disciples. 144:3.14 Jesus taught the twelve always to pray in secret; to go off by themselves amidst the quiet surroundings of nature or to go in their rooms and shut the doors when they engaged in prayer. 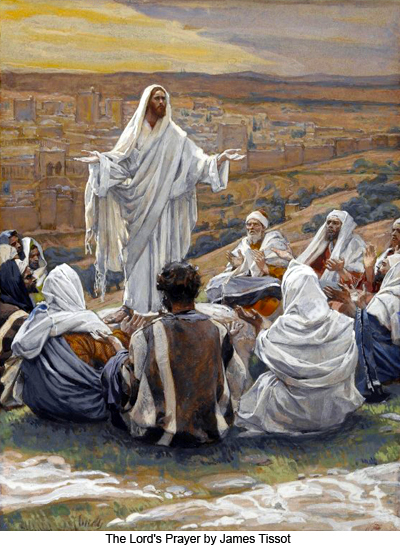 144:3.16 Jesus gave the apostles the prayer in collective form as they had prayed it in the Nazareth home. He never taught a formal personal prayer, only group, family, or social petitions. And he never volunteered to do that. 1. Unselfish —not alone for oneself. 144:3.23 When Jesus spent whole nights on the mountain in prayer, it was mainly for his disciples, particularly for the twelve. The Master prayed very little for himself, although he engaged in much worship of the nature of understanding communion with his Paradise Father. 144:4.2 The earnest and longing repetition of any petition, when such a prayer is the sincere expression of a child of God and is uttered in faith, no matter how ill-advised or impossible of direct answer, never fails to expand the soul’s capacity for spiritual receptivity. 144:4.3 In all praying, remember that sonship is a gift. No child has aught to do with earning the status of son or daughter. The earth child comes into being by the will of its parents. Even so, the child of God comes into grace and the new life of the spirit by the will of the Father in heaven. Therefore must the kingdom of heaven —divine sonship—be received as by a little child. You earn righteousness—progressive character development—but you receive sonship by grace and through faith. 144:4.4 Prayer led Jesus up to the supercommunion of his soul with the Supreme Rulers of the universe of universes. Prayer will lead the mortals of earth up to the communion of true worship. The soul’s spiritual capacity for receptivity determines the quantity of heavenly blessings which can be personally appropriated and consciously realized as an answer to prayer. 144:4.6 Prayer is an antidote for harmful introspection. At least, prayer as the Master taught it is such a beneficent ministry to the soul. Jesus consistently employed the beneficial influence of praying for one’s fellows. The Master usually prayed in the plural, not in the singular. Only in the great crises of his earth life did Jesus ever pray for himself. 144:4.10 One of the reasons why Peter, James, and John, who so often accompanied Jesus on his long night vigils, never heard Jesus pray, was because their Master so rarely uttered his prayers as spoken words. Practically all of Jesus’ praying was done in the spirit and in the heart—silently. 144:4.11 Of all the apostles, Peter and James came the nearest to comprehending the Master’s teaching about prayer and worship. Be patient with us as we show loving- kindness to our fellows. 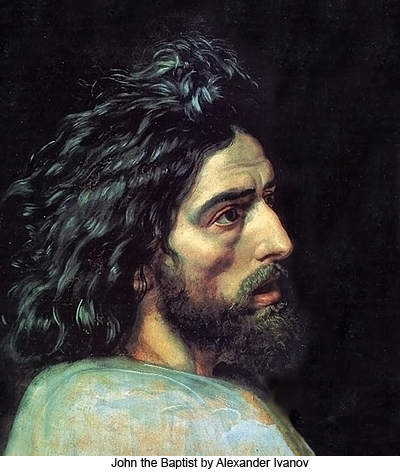 144:6.1 Around the first of October, Philip and some of his fellow apostles were in a near-by village buying food when they met some of the apostles of John the Baptist. As a result of this chance meeting in the market place there came about a three weeks’ conference at the Gilboa camp between the apostles of Jesus and the apostles of John, for John had recently appointed twelve of his leaders to be apostles, following the precedent of Jesus. John had done this in response to the urging of Abner, the chief of his loyal supporters. Jesus was present at the Gilboa camp throughout the first week of this joint conference but absented himself the last two weeks. 144:6.10 And this is the story of the first attempt of Jesus’ followers to co-ordinate divergent efforts, compose differences of opinion, organize group undertakings, legislate on outward observances, and socialize personal religious practices. 144:6.11 Many other minor matters were considered and their solutions unanimously agreed upon. These twenty-four men had a truly remarkable experience these two weeks when they were compelled to face problems and compose difficulties without Jesus. They learned to differ, to debate, to contend, to pray, and to compromise, and throughout it all to remain sympathetic with the other person’s viewpoint and to maintain at least some degree of tolerance for his honest opinions. 144:7.1 Throughout the months of November and December, Jesus and the twenty-four worked quietly in the Greek cities of the Decapolis, chiefly in Scythopolis, Gerasa, Abila, and Gadara. This was really the end of that preliminary period of taking over John’s work and organization. Always does the socialized religion of a new revelation pay the price of compromise with the established forms and usages of the preceding religion which it seeks to salvage. Baptism was the price which the followers of Jesus paid in order to carry with them, as a socialized religious group, the followers of John the Baptist. John’s followers, in joining Jesus’ followers, gave up just about everything except water baptism. 144:7.2 Jesus did little public teaching on this mission to the cities of the Decapolis. 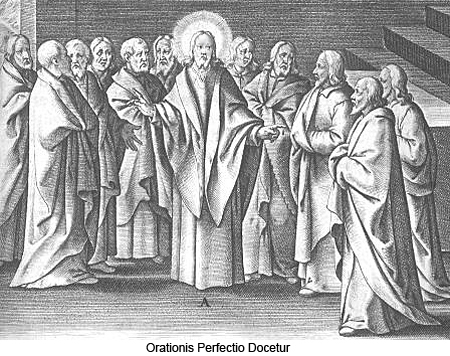 He spent considerable time teaching the twenty-four and had many special sessions with John’s twelve apostles. In time they became more understanding as to why Jesus did not go to visit John in prison, and why he made no effort to secure his release. But they never could understand why Jesus did no marvelous works, why he refused to produce outward signs of his divine authority. Before coming to the Gilboa camp, they had believed in Jesus mostly because of John’s testimony, but soon they were beginning to believe as a result of their own contact with the Master and his teachings. 144:7.3 For these two months the group worked most of the time in pairs, one of Jesus’ apostles going out with one of John's. 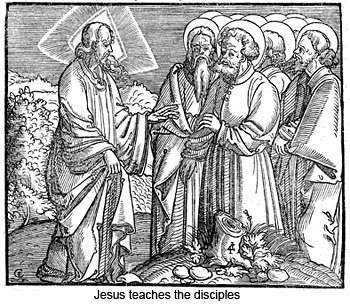 The apostle of John baptized, the apostle of Jesus instructed, while they both preached the gospel of the kingdom as they understood it. And they won many souls among these gentiles and apostate Jews. 144:7.4 Abner, the chief of John’s apostles, became a devout believer in Jesus and was later on made the head of a group of seventy teachers whom the Master commissioned to preach the gospel. 144:8.1 The latter part of December they all went over near the Jordan, close by Pella, where they again began to teach and preach. Both Jews and gentiles came to this camp to hear the gospel. It was while Jesus was teaching the multitude one afternoon that some of John’s special friends brought the Master the last message which he ever had from the Baptist. 144:8.5 Many who heard Jesus that day submitted themselves to John’s baptism, thereby publicly professing entrance into the kingdom. And the apostles of John were firmly knit to Jesus from that day forward. This occurrence marked the real union of John’s and Jesus’ followers. 144:8.7 On this afternoon Jesus continued to teach, saying: “But to what shall I liken this generation? Many of you will receive neither John’s message nor my teaching. You are like the children playing in the market place who call to their fellows and say: `We piped for you and you did not dance; we wailed and you did not mourn.’ And so with some of you. John came neither eating nor drinking, and they said he had a devil. The Son of Man comes eating and drinking, and these same people say: `Behold, a gluttonous man and a winebibber, a friend of publicans and sinners!’ Truly, wisdom is justified by her children. 144:9.2 Accordingly, early on the morning of January 13, A.D. 28, Jesus and the apostles, accompanied by some twenty-five disciples, made their way to Capernaum and lodged that night in Zebedee’s house.